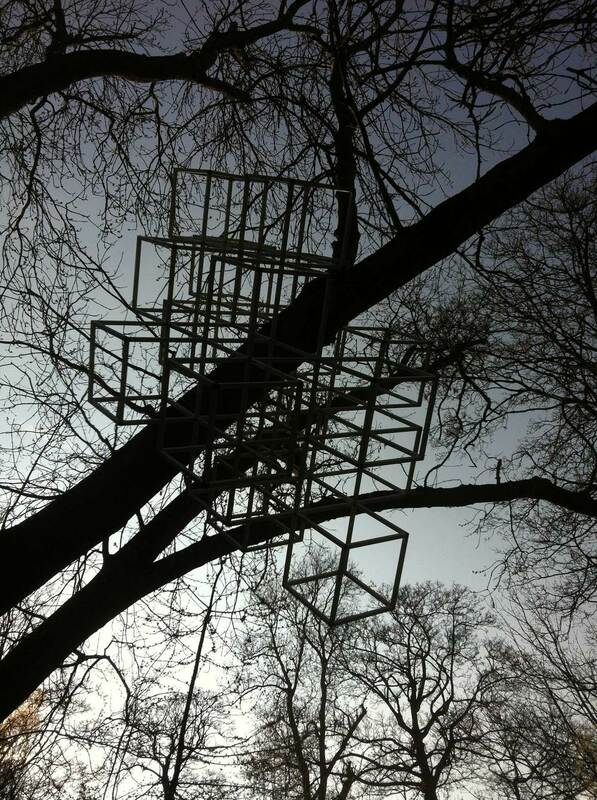 ‘Fever if you live and learn’ is a three dimensional array of 19 cubes constructed in and around the trunk and branches of a large Ash tree. The arrangement of the cubes is dictated by the positions of the various branches and the need for the structure to brace and balance itself within the host tree. 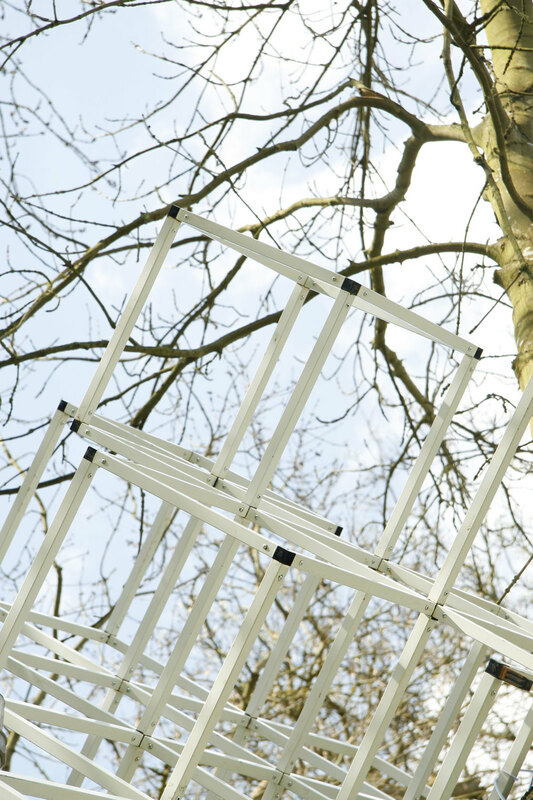 Like the Mistletoe commonly seen in the Burghley Gardens, the white ‘Fever’ grid is a parasite imposing itself upon its host, depending upon the tree for its elevated position and, like a bauble, drawing attention to the grand form and scale of the tree itself. 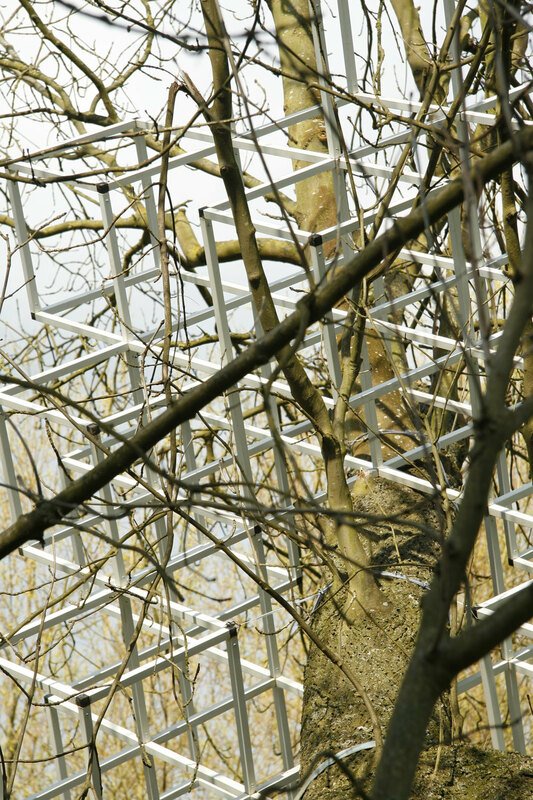 The tree and the grid are contrasting structural systems, both following a set of rules to a conclusion. This is the third Fever installation following on from ‘You give me Fever’ 2014 in Amiens, France and ‘Fever when you hold me tight’ 2015 at Coombe Trenchard House in Devon, UK.